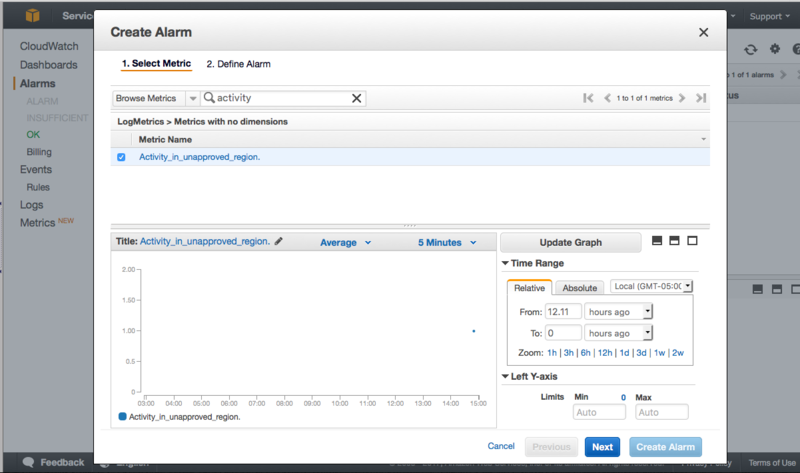 I assume you already have a CloudTrail log enabled for all regions, pushing to S3 and CloudWatch. Name it something sensible and create the filter. 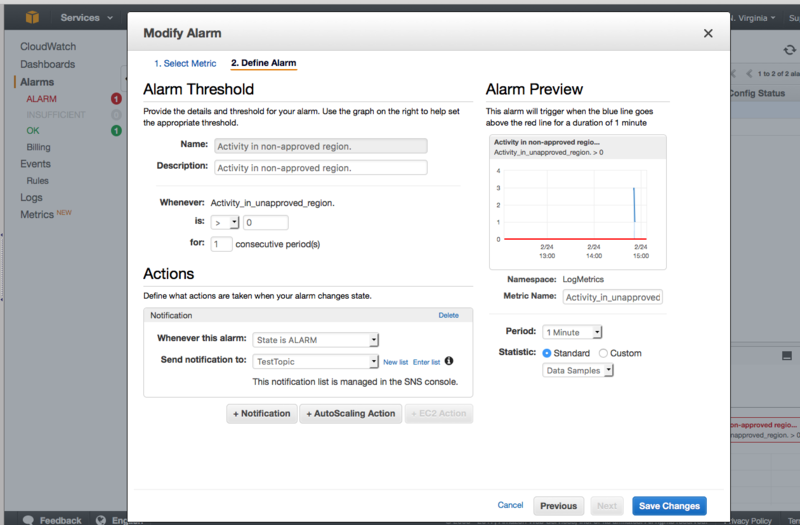 Next, create an alarm within CloudWatch. You may need to search for your new metric. If it isn’t found, give it 5 minutes. 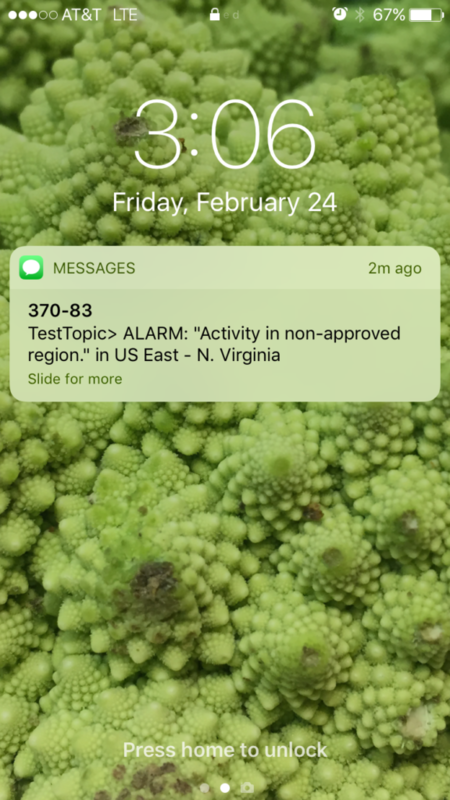 You can see that I already had some activity, but at this point, you should navigate to a non-approved region and run a test. To wrap up, I’d like to note that this solution is a simple one to a pointed problem. If you want to ask more complicated questions, be more exploratory with your logs, or fins yourself wanting greater functionality, you should consider some of the following technologies in your solution: Stream your logs to Lambda or Elastisearch. Try querying your logs directly from S3 with Athena. Be creative and open-minded to what technologies to use for each use case. My solution here is a simple solution to a simple question. Any questions or clarification needed? Reach out to me. 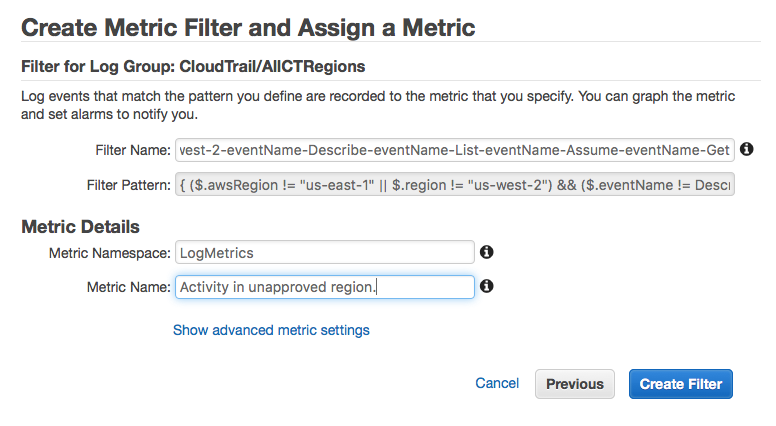 This entry was posted in Code, Technology and tagged alerting, AWS, best practice, cloudtrail, cloudwatch. Bookmark the permalink.